This Kentucky Butter Cake formula is CRAZY soggy, rich and covered with a sweet rich sauce that hulls the outside and douses into the cake making it stunning for a considerable length of time. What you get is a dazzling, sweet, rich, delicate cake that is as flawless all alone as it is finished with strawberries and whipped cream! 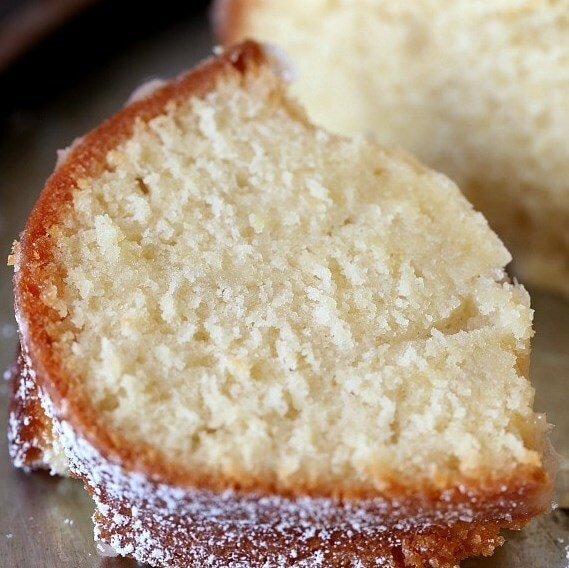 This Kentucky Butter Cake is authoritatively formally my most loved vanilla pound cake. I need to group my top choices like that… I can't simply say "most loved cake", since that is an incredible difficult request. I don't even truly know whether I could pick a most loved cake of the considerable number of cakes. Grease a 10″ bundt pan with butter or shortening very liberally. Dust the pan with flour and set aside. When the cake is done make the glaze. Combine all ingredients into a small saucepan over medium-low heat. Stir continuously until the butter is melted and the sugar is dissolved. Do not bring to a boil. Allow the cake to cool completely in the pan and then invert the cake onto a serving plate. I actually like to make this cake a day in advance, finding it to be more moist and flavorful when it rests overnight.